"It is not the strongest of the species that survives, nor the most intelligent, but the one most responsive to change’, Charles Darwin. They say that the toughest iron is made of the hottest fire. Prior to getting breast cancer, I considered myself a tough iron: I was ‘strong’ and I was ‘tough’. I would withstand the storm. I would put my vulnerability firmly into the ground. No room for sadness, pain, anxiety or fear, I would not let them ‘get in the way’. Yes, I was untouchable. I was resistant. My diagnosis was a turning point in my life, with vulnerability being my ONLY option. Yet somehow I felt strong, having hit rock bottom. I met many amazing women with primary and secondary breast cancer who’d been given a timeline, yet their spirits were timeless. What did I learn from them? I learned that the fight to survive, paradoxically, makes survivorship harder. I learned that the courage to live with fear can facilitate survivorship. I learned that resilience in the face of adversity is about flexibility and responsiveness to change. It’s about melting and growing. It’s about elasticity and plasticity. It’s about finding toughness in vulnerability and sensitivity in rigidness. To get battered in the storm, and keep going. To feel the agonising pain, but embrace it with the wounds and tears. To feel and bounce it forward. How could I learn to be resilient? I am an academic, a dedication I chose when I was very young. I was passionate to work on anxiety and depression, which I have been researching for over 22 years. Anxiety and depression are estimated to be the biggest cause of disability worldwide with millions affected every year. In my research, using a variety of neuro-imaging and experimental methods, we have identified the neural and cognitive pathways that characterise anxiety and depressive vulnerability and play a mediating role in the occurance, sustainability and recurrence of these disorders. We have shown that in emotionally vulnerable individuals, cognitive flexibility and attentional control are impaired. We have documented that if these processes are targeted then it is possible to reduce vulnerability and build better neural connections towards resilience. Clearly, an important translational impact of this work is in new interventions that we are designing to build resilience. These interventions exercise brain plasticity to increase processing efficiency and cognitive flexibility with the aim to better manage our emotions especially under stress. 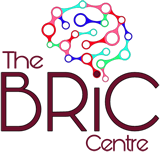 I founded the BRiC Centre in October 2015, with the aim to translate my research on emotional vulnerability and resilience in women with a breast cancer diagnosis. Two years and we have conducted a number of longitudinal studies exercising attentional control cognitive flexibility towards resilience. I am proud of our Centre and our Private Support group, they are thriving. I wouldn't have been able to do what I do without the dedicated and selfless efforts of my admin team who keep me going. I am hopeful that we can reach out to many vulnerable women with breast cancer. Come and join us on our road to resilience. Long may it continue. This photo of me was taken earlier this summer at a Lavender Farm (or was it a wasp zoo?) in August. The observant among you will notice I am trying to hide my lymphodema sleeves. (I'm waiting for someone to make attractive made-to-measure garments as sadly Pebbles and Lymphadivas do not). Cancer has been in my life for over 11 years now as in 2006 at the age of 31 I had the shock of my life when diagnosed with breast cancer. Following this life changing event, I had the enormous pleasure of welcoming my two children into the world and have been busy as a stay at home Mum ever since. Sadly my relationship with cancer was not over when in 2015 at age 40 I was diagnosed with metastatic breast cancer, which means it has invaded elsewhere in my body and is now incurable, so changing the shape of my future. At a time when I was treading water and losing my way a little, I found some wonderful support groups and through those was fortunate to discover The BRiC Centre dealing with a subject I can truly relate to…resilience in the face of adversity. To then find two amazing women, Naz and Tamsin, and be able to work closely on this project with them has been extremely exciting. Since then we have recruited four more amazing women to the team who have been perfect for the role but most of all we've made great friendships. Since joining BRiC I've had a go at writing a few blogs (one with Tamsin for the HuffPost), featured in the newspaper, been to the Conservative Party Conference in 2016 lobbying MPs, and to the Houses of Parliament, once lobbying MPs and the other by personal invitation from an MP who was particularly touched by my story. Sadly in September 2017 I was given the news that my metastases have spread further into major organs which changes the goal posts again. I don't know what the future holds but I'm using my resilience and taking one day at a time. I like: reading, crafts, coffee, cake, comedy, chocolate, curry, science, space and lists! I don't like: cancer. Hi, Jan here, with a little bit about myself and a rare photograph where I am not hiding behind the dog or a grandchild! I’m 54 (not sure how that happened) and currently still work full time, but am hoping that will change fairly soon. I was diagnosed when I was 48 with invasive lobular breast cancer, I found it purely by chance as I couldn’t feel a lump, there was just a barely visible dimple. I remember my surgeon telling me that on the MRI they could see two tiny spots on the same breast but on the outer edge which could also be tumours so I had the option for a lumpectomy and “wait to see if they develop into anything” or mastectomy straight away. I didn’t hesitate and went for the mastectomy – which turned out to be the right choice because the tests showed that the two spots were indeed cancerous. All that was almost 6 years ago and my life now is in some ways very different, in some just the same. I am more easy-going, I tend to worry less and I definitely do less housework lol. I’ve been married to my hubby for 29 years, we lived together for 6 years before we got married (the wedding was just an excuse for a party really). We have four grown up children, one still lives at home, and the others live fairly close to us, so we see them regularly. My first grandchild was born just before my dx, my second three years later; they are the light of my life and one of the reasons I am planning on retiring soon is so that I can spend more time with them. We currently live in Warrington in the North West, but the plan is to move to Wales – a place in the country…if we can find the right place. Despite living in a large town, I am a country girl at heart and I need green fields around me to feel at peace. I joined the BRiC group two months after it was formed, I found it via a friend and immediately knew I would feel at home here. It’s been a huge support to me when I’ve had wobbly moments, I love the honesty and openness of our members and the way we all support each other. Knowing that the things we go through, the side effects, the long-term changes, the emotional issues, are all shared with others is so reassuring. I was honoured when Naz asked me if I would join the admin team and I enjoy being part of something so helpful. Hello, Anita here. This pic is of me in Tenerife earlier this year in a dress I loved when I bought it on holiday, but later hated after it turned a load of white washing pale pink! I have no idea how they got into the washing machine together, but this scenario is quite typical of how my life is these days. I've gone from being mega-organised (a full week of meals planned on Sunday night, clothes sorted into co-ordinated outfits, CDs stored alphabetically) to someone who lurches from day to day in a bit of a daze. Intentionally I might add. My life now, just over 3 years post diagnosis, is very me. By that I mean it's quiet and simple, consisting of lots of alone time with a good smattering of sociable activities, such as singing in a choir, volunteering at a community cafe and long lunches with friends. I like nothing better than to potter at home. My day will always include a walk or two with my dog, come rain or shine, and I enjoy yoga, reading, meditation, baking, crafting, writing, and catching up on the tv shows my partner doesn't like! An afternoon granny nap is often part of the mix. This always feel decadent, but I've realised that getting sufficient rest is essential to my wellbeing. I'm fortunate to be feeling generally well these days, but I never forget how quickly our health can be taken from us. I often ask myself, what would I change if it was my turn to be diagnosed with secondaries? I like to make sure the answer is Nothing. I was first diagnosed with stage 3 Breast cancer in August 2015 when I found a thickening in right Breast. Initially both my GP and myself thought it be a benign condition called fibroadenosis but she made a prompt referral to be seen. I am a consultant oncologist and when I saw the ulta sound pictures and the consultant radiologist face, I just knew it was bad. I very quickly started chemotherapy for 8 cycles - despite having insider knowledge, the reality was much worse than I expected - particularly to T (docetaxol) bit - by the end, I had no hair, eyebrows, nails, awful sore skin hands and feet and numbness in hands. But we were delighted when after mastectomy and node clearance no cancer could be detected. Continued on to radiotherapy and herceptin - plus zoladex and exemestane. By September 2016, I was back at work trying to deal with my emotions yet stay objective yet supportive to my patients - this was really hard. Thankfully my area had excellent psycho-oncology support and counselling and a mindfulness group helped me to understand that I was grieving for the loss of the old me and to take time to process that. By January 2017, I felt much brighter and felt like I was moving forward. Then on the 9th February (a year to the day of my mastectomy) I had a fit whilst driving the car with my two girls in. Thankfully no-one was injured but the children were traumatised. An urgent CT in A&E confirmed our worst fears and found a brain secondary. It appeared to be a single lesion which was removed surgically - the recovery took a good six weeks and I remained forgetful and sometimes muddling my words - frustrating for someone who enjoys quizzes, reading and was very articulate. I had a further relapse of same area in August after a month of weekly fits and had another operation and then cyberknife radiotherapy to try and prevent further growth. I am glad to say a specialist nurse for secondary breast cancer is now in place who has made a huge difference but I still feel angry at being left with no nursing support for over six months. I have had to give up my career, can’t drive (not great in a rural area) and am not the person I was. It breaks my heart to think of my family losing me at such a young age - I know I won’t see them finish school. I have dealt with this the best I can with amazing help from our local Hospice. I continue to exercise enjoying ParkRun, walking the dog and spending time with girls which I wouldn’t have done so much if I was still working. I try to practice mindfulness when I remember! I have been very angry at the lack of support I get from a nursing perspective and have got involved with Breast Cancer Care’s campaigns to improve services for patients with secondary breast cancer - recently I went to the Labour Party Conference (6 week’s post op - was determined to go!) and to a meeting at the Houses of Parliament (a week post cyberknife!) This has really helped me feel useful again. I'm 55 now, and when I was 48 the bomb that is a cancer diagnosis went off in my life. At the time my children were 24, 22, 14 and 12, and like most of us my first thought was "how do I tell the kids?" As it happens they had all known I was going for tests as one of them had asked for a lift that I had had to refuse as I had a GP appointment for the lump I'd found. She asked why I was going to the doc so I told her. Fortunately what I told them has turned out to be the truth and my youngest is now at university, the next one up is in France, their oldest sister is in Hampshire and my son is in Canada - they are all busy living their lives to the full and I couldn't be happier for them or more proud of them.Meanwhile I now have an empty house but that comes with the advantage that when (if!) I manage to get it tidy, it might even stay that way! How's this for a starter? I don't really like talking publicly about myself! I'd like to use a pic of my family with my dad at his 92nd birthday, but I'm in the car on the way to Devon and the pic is on the mantlepiece at home.